Chinese smartphone maker Huawei today launched its flagship Mate 10 series at an event in Germany. The Porsche Design Huawei Mate 10 was launched along with two other devices, the Mate 10 and Mate 10 Pro. The premium design device comes with similar specifications as the Mate 10 Pro but comes with a much more prmium design. 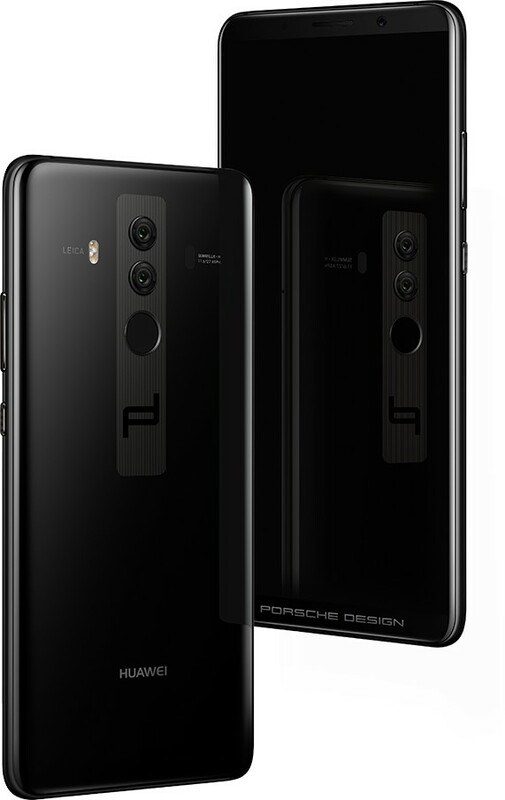 The Porsche Design Huawei Mate 10 comes with a custom Porsche Design interface along with accessories such as a USB-C to 3.5 mm Headphone Jack Adapter and custom made leather case. The main highlights of the device are its design, FullView display, dual camera setup and its AI. The Porsche Design Huawei Mate 10 runs on Android 8.0 Oreo with EMUI 8.0 skinned on top. The device features a 6 inch FHD+ OLED display with a resolution of 2160 x 1080 pixels and an aspect ratio of 18:9. It comes with HDR10 support for improved viewing experience. The Porsche Design Huawei Mate 10 is powered by an Octa core Huawei HiSilicon Kirin 970 processor and an i7 co-processor that comes with a dedicated neural network processing unit that supports various AI features such as taking improved selfies, real-time scene and object recognition, instant translation of texts, audio, images into 50+ languages and much more. The graphics on the device are handled by Mali-G72 MP12 GPU. In terms of memory, the device comes with 6GB RAM and 256GB of internal storage. The company has not provided microSD support but that may not be an issue due to the abundant storage. Coming to the camera department, the Porsche Design Huawei Mate 10 features a dual camera setup on the back. It features a 20MP Monochrome sensor and a 12MP RGB sensor with Leica Summilux-H lenses, PDAF, CAF, Laser autofocus, OIS, BSI, CMOS, Depth autofocus, f/1.6 aperture and dual LED flash. On the front, the device sports an 8MP secondary camera with f/2.0 aperture. The Porsche Design Huawei Mate 10 is powered by a 4,000mAh battery with Fast Charge support. Connectivity options on the device include 4G VoLTE, Wi-Fi 802.11 a/b/g/n/ac, Bluetooth 4.2 LE, GPS, NFC, USB Type-C and Infrared Port. It comes with a rear mounted fingerprint sensor. The device does not come with a 3.5mm audio jack. The Porsche Design Huawei Mate 10 has been priced at €1395 (Rs. 1,06,600) and will be available in Diamond Black color option only starting from November in around 20 countries.